I have already talked about how to get TuneUp Utilities 2007 Genuine License Key for free .Configuring Windows can be problem for many of you when the options / configuration isn’t so obvious.For many of you its quite complicated even though windows is much more user friendly than Linux.Still some may require some special software to do this so that they need not go deep into configurations/ registry settings and all.Finding the setting you need can be frustrating. Is it in theÂ Control panel?Â In a right-click context menu? Buried deep in the Registry? Tune up utilities 2008 takes care of all these concerns by bringing all the best Windows tweaks together in one program. And there are plenty of powerful features. 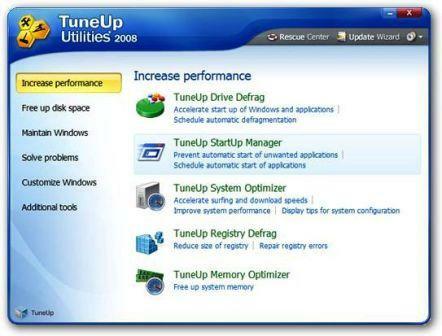 Visit promo page and click on Zum Download button to start downloading your TuneUp Utilities 2008 copy with serial key. The downloaded zip-file contains the German installer and a text-file containing the serial number. Download the English version installer from here and use the key to unlock fully functional version.